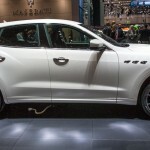 The Maserati Levante will make its debut at the 2016 New York Auto Show, but its CEO already confirmed during the Geneva Motor Show last week that the SUV—marking Maserati’s first foray into SUVs—will also come in a plug-in hybrid variant. According to Motor Authority, the plug-in hybrid powertrain will be sourced from the Chrysler Pacifica, both of which are cousins within the Fiat-Chrysler Automobiles umbrella. The Pacifica, already getting ready for its consumer launch, boasts of the company’s latest hybrid tech. At this point, it’s pure speculation whatever part of that plug-in hybrid technology will be found under the Levante’s hood. 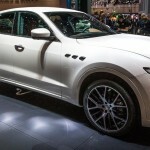 The Levante bound for the United States will be available with a 3.0-liter twin-turbocharged V-6 in either 345- or 424-horsepower tunes. Levante has competitions from all over Germany in terms of plug-in hybrids, but its CEO Harald Wester suggested that this powertrain will comprise only six percent of the total Levante production. The Levante, of course, would have to suffer some engineering stylistics because it would have to adapt the Pacifica’s hybrid tech. 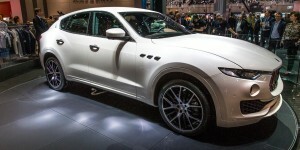 It rides on a Maserati platform and uses an engine not shared with Chrysler. 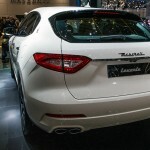 What’s purely up in the air is how the Levante would perform on the road and in the real world. However, it surely promises fuel savings with plenty of power. 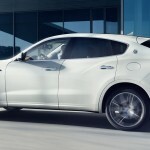 As we very well know, the Levante will come in gas-powered version too, which would probably produce more power than the hybrid variant since it’s using all fossil fuels for its engine. There’s no pricing yet, but expect it to be in the range of the Porsche Cayenne S.
The Levante, according to Wester, is for people who don’t want another Mercedes, Porsche, Audi, BMW or Lamborghini. It was created for those who want something different in an SUV, especially since it’s Italian and promises power coupled with efficiency.